In this article, we introduce some examples of rotation, combination, and resistance-proof controls for minimizing resistance buildup in crop pathogens. When certain crops, or families of crops are replanted year after year in the same location, pests and diseases will tend to build up resistance to the controls used to keep them at bay. Crop rotation is an ideal way to prevent buildup of pathogens in the soil/growing environment that are specific to that type of crop. It is also a good way to minimize populations of overwintering crop-specific pests. One can also rotate varieties; each variety within each crop group responds differently to both disease and pest pressure. Switching up varieties can thwart the evolutionary tendency of a pathogen to evolve toward resistance. When rotating crops and varieties is insufficient, however, another way to minimize resistance buildup is by alternating the control. Certain controls can also be combined for better efficacy. These methods involve spraying different controls in alternating intervals or combining different controls in the same tank mixture. Rotate controls for blight prevention. 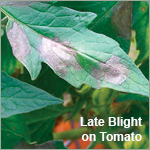 At our Albion research farm, when treating tomatoes for early and late blight prevention, we typically alternate controls by spraying with OxiDate® (a peroxide-based fungicide/bactericide) to first sanitize the crop and then follow up with Nu-Cop DF® (a copper fungicide). The next time we spray, we might again treat with OxiDate, but then follow up with a different fungicide, such as Actinovate®. Controls can be combined for treating European corn borer or cucumber beetles. Combining control products with different modes of action will slow the buildup of resistance by targeting specific functions. For example, in European corn borer control, spinosad, the active ingredient of Entrust ® SC, targets the insect's nerves and muscles; while Bacillus thuringiensis, the active ingredient of DiPel® DF, targets the insect's mid gut. Using a tank mix (combination) of materials such as these will have a synergistic control that will be more effective than independent applications. 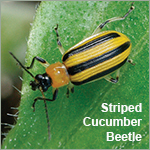 Similarly, for control of cucumber beetles, PyGanic® (a pyrethrin-based insecticide) might be tank mixed with Surround® WP (a kaolin clay-based repellent) to provide both initial knockdown and subsequent repulsion of these cucurbit-loving pests. Pest control options exist that are both environmentally-conscious and resistance-proof. There are other alternative controls to which arthropods and other pests cannot build up resistance. Safer® Brand Diatomaceous Earth kills by ingestion or by contact with the powder, which contains the fossilized remains of diatoms that cut the exoskeleton, causing dehydration within 48 hours. SuffOil-X® is a high-paraffinic, low-aromatic oil that suffocates eggs, larvae, nymphs, and adults of soft-bodied insects and mites. Other paraffinic or mineral oils and insecticidal soaps are also effective means of control without the possibility of resistance buildup. 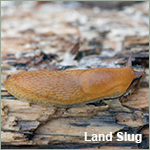 Sluggo® is a unique granular product that contains the naturally occurring mineral iron phosphate, which breaks down into soil fertilizer, combined with a mollusk bait that lures the slugs to their demise. It is safe to use around children, pets, and wildlife, yet resistance-proof and lethal to slugs and snails. These are just a few examples of methods available for providing the control you need, while minimizing the risk of resistance buildup in pests and pathogens. From the commercial grower on down to the home gardener, keeping detailed records of which insect or disease issues are prevalent, the controls that were used, and how they worked is crucial to success. Always remember to read and carefully follow all label instructions when applying any pest or disease controls. When applied with a bit of commonsense, the fundamentals of crop rotation, control rotation, control combination, and resistance-proof choices are safe, effective, and environmentally sustainable. Pesticide resistance is the adaptation of a pest species that has been targeted by a pesticide to develop decreased susceptibility to that chemical. Resistance, as defined by the Insecticide Resistance Action Committee (IRAC), is "a heritable change in the sensitivity of a pest population that is reflected in the repeated failure of a product to achieve the expected level of control when used according to the label recommendation for that pest species." Pesticide tolerance is defined as the amount of pesticide residue allowed by law to remain in or on a harvested crop. Insecticide resistance is not the same as tolerance — though the terminology is widely debated and, inaccurately, used interchangeably. Low-level resistance is still resistance, not tolerance. A species-wide ability of a pest or pathogen to survive a particular control substance is tolerance, not resistance. E.g., aphids are not killed by the insecticide carbaryl (Sevin). They did not develop resistance as a result of selection pressure by repeated use of this insecticide but rather, they have always been "tolerant" of this insecticide.